Guangzhou Nedong Information Technology Co., Ltd (hereinafter referred to as "Nedong") was established in 2009 with a registered capital of 34.875 million Chinese Yuan. As a national high-tech enterprise that insists on using environmentally friendly, recyclable materials and developing new products, Nedong has been adhering to the mission of "Continuous Innovation and Development of Green Products and Services ". Embracing a great passion and spirit of exploration, Nedong consistently leads the recyclable product run pioneer role . Nedong insists on employing scientific, high-standard management system to guide the company's R & D, operation and sales. Having passed ISO9001 Quality Management System Certification, ISO14001 Environmental Management System Certification and ISO18001 Occupation Health Safety Management System Certification, the company attaches great importance to R&D and innovation of products and technologies and builds a cooperation platform that integrates Nedong R&D center, well-known experts in the industry and renowned research institutes in China to constantly innovate products and services and improve quality. Up to now, the company has obtained more than 100 related patents at home and abroad, and has successfully developed products and services such as environmentally-friendly non-pneumatic tires and environmentally-friendly plastic integrated wheels, which are widely used in bicycles, electric vehicles, smart cars, medical vehicles, and special vehicles and highly recognized by companies and users in the industry. With the efforts of all employees and the support of all partners, Nedong has achieved outstanding performance in terms of technology research and development, product innovation, business management, and social contribution. In recent years, Nedong has won many governmental awards and honors, such as "Science and Technology Achievements", "High-tech Products", and "China National High-tech Enterprise". 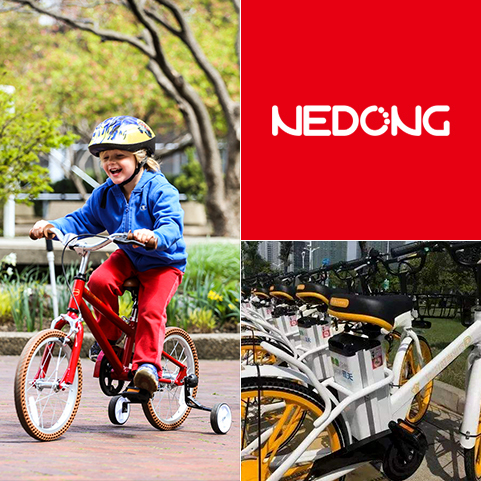 Nedong has always firmly believed that constant pursuit and innovation will definitely make daily travelling life more eco-friendly and healthy.